Chicago protests opposes threatened Koran burning | Fight Back! 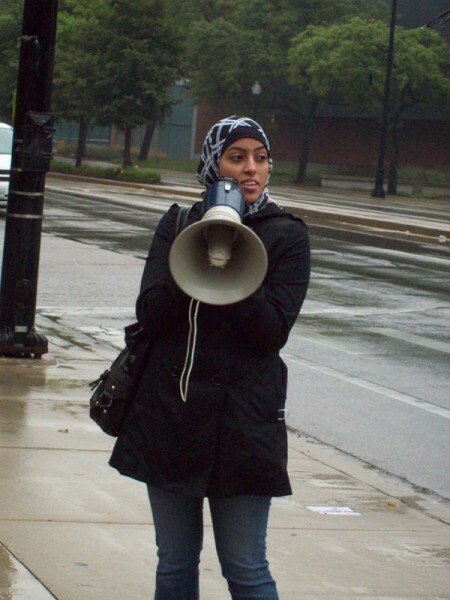 An activist leads chants with a bullhorn at UIC SDS rally on September 11. Chicago, IL - Students in Chicago came together today to oppose the threatened Qu’ran burning by the Dove Church in Gainesville, Florida. 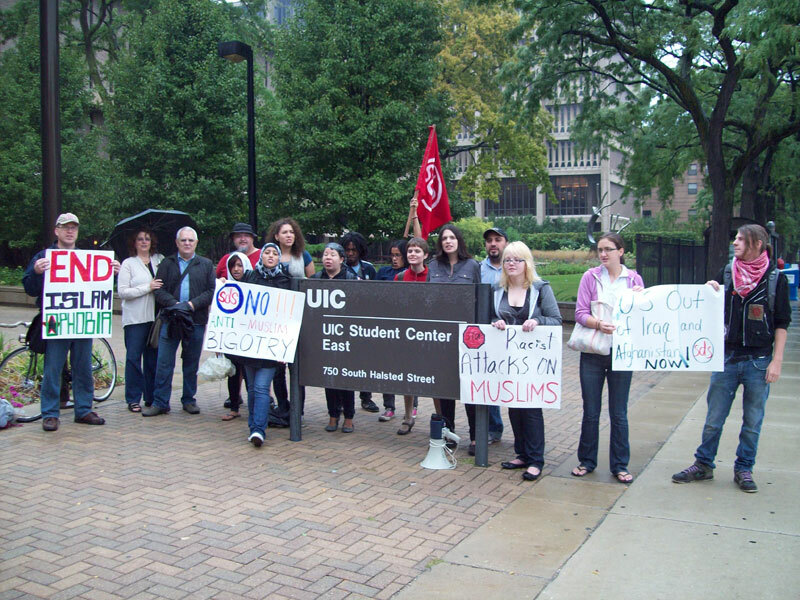 As part of a nationwide response, Students for a Democratic Society (SDS) chapters from the University of Illinois-Chicago, Wright College and Columbia College joined together with others from Northeastern Illinois University, Northern Illinois University and the Palestine Solidarity Group. “These attacks are aimed at the communities who are already victims of U.S. wars and the U.S.-backed occupation of Palestine,” explained Hatem Abudayyeh of the Arab American Action Network. Abudayyeh continued, “The hate against Arabs and Muslims is not new, and it’s not just in Gainesville and it’s not only members of our community that are targeted. We’re here to take a stand against attacks on Arabs, Muslims and all immigrants.” Kait McIntyre said that it was very powerful for her to know that SDS chapters all across the country were holding protests today.